I have had this blog for four years and I have always tried to come up with creative ways to share my love, passion and admiration for the world of beauty pageants and the people that work so hard to make them happen or put themselves up for relentless scrutiny and judgment by us... the general public - who wouldn't even to hold our own nearly as well as most of these girls do under very stressful circumstances. From the day I started it, I have aspired to just share my love for something that has given me so much knowledge and happiness. Yes, sitting outside Golden Square during my lunch break in the late nineties, I did dream of going up to Eric and Julia Morley when I saw them out and about to impress them with my knowledge of their pageants and being awarded a job at Miss World there and then. But as big of a dreamer I am, I am also not totally out of my mind. So, alas, as those teenage dreams faded and the mundane realities of life started to set in, I realized that I would never have that dream job - at Miss World or any other pageant. The love remained and so did my desire to still share my passion with those around me. I became a member of some private "VIP only" pageant forums and when the one I was most actively involved in "died", this blog was born. I always put a lot of thought into whatever I want to post or say and I don't really get any real rewards for it. I spend A LOT of my free time doing this on top of a crazy work schedule and it has become rather stressful, Especially when you see things you KNOW you came up with and never really saw anywhere else before pop up all over the show. But, hey, I'm not conceited enough to really believe that I am one of THE creative forces in the world of pageants and I own all these little things I make up. 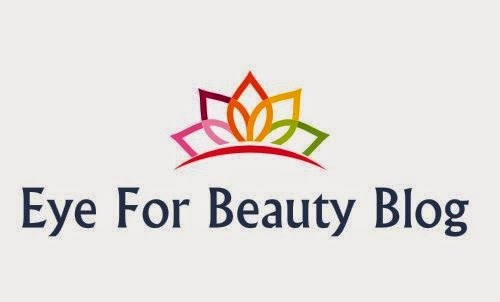 So even when I saw there was another Eye For Beauty Blog or my If I were a judge makes it way around, I do feel a bit dejected at times, but I always decide to carry on again after a while. Whatever I have been doing on my blog has been done a thousand times, I just put my own spin on it and try to make it my own. I guess it's an honor if my "specials" start popping up on forums and message boards or even facebook groups. After living in Taipei, Taiwan for almost 9 years (I am South African though! ), I recently moved to Shanghai, China where I am now working (very hard I might add). This brought new challenges and frustrations which makes blogging so much harder. I have a few very loyal people who always stay interested and show me so much support, so I always use that as an inspiration. But now on top of my lack of time, I also have to wonder if my VPN will work.... hopping over the Great Firewall is not always that easy and then when you are over, it's sooooooo slow. The process gets exaggerated and my content is often stale and watered down by the time it gets published. EYE FOR BEAUTY BLOG's EYERIS Awards. So, basically, this one will replace the Pageant Report Card Special. I will nominate pageants in different categories and then select a winner instead of writing about each aspect of the four pageants I used to evaluate and giving them a grade. The pageants all have some sort of livestream or footage can be found online. They are MISS WORLD, MISS UNIVERSE, MISS INTERNATIONAL, MISS EARTH, MISS SUPRANATIONAL and MISS GRAND INTERNATIONAL. I will also keep my eye on some national pageants and people in the industry. Where did this name come from? It comes from my obsession with cohesion. It had to relate to something regarding my life or blog. I thought of a part of the eye, the iris, and it sounded pretty enough, but there are already other Iris Awards and I am not really in the mood to get sued, so I put my own spin on it... the EYERIS Awards. Who/What gives you the right to give out awards? Like my blog (in general), this is just another bit of harmless fun. I don't think I know everything. I get it wrong a lot. BUT I do have a strong voice and opinion and I have been absorbing every bit of pageant information I could since 1991. So I do know what I am talking about sometimes and after helping/advising, I DO understand the business - from the contestants', directors' and organizers' point of view. Besides, I am mostly trying to entertain myself, save time, and still do something fun and interesting. I do not seriously expect any organization to ring me up to ask me for their awards, though I'd oblige if they did... ha! So to replace PAGEANT REPORT CARD (thanks to those who asked me about it), the 2015 EYERIS Awards will kick off soon!